Alex Flying High on Cloud Nine! A Longbenton Air Cadet is on cloud nine after earning his flying wings! 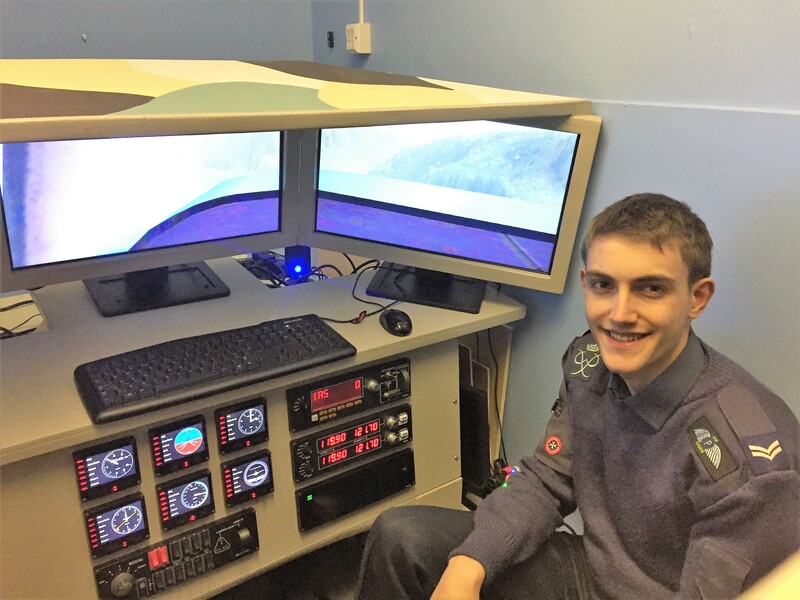 After undergoing a selection day, which assessed his aptitude, knowledge and skills in a simulated environment, Alex McGowan, 17, bagged himself a prestigious flying scholarship. The Longbenton High school student went to Dundee to gain his Flying Wings with Tayside Aviation. He said of the fully sponsored opportunity, “The course was the best two weeks of my life! The instructors focussed on the areas I needed to improve which helped to increase my confidence. “However, when I flew my first sortie alone I was really nervous! The pilot told me to hold the aircraft on the taxi-way and he got out, saying “Good luck in your your solo flight; don’t break the aeroplane, they’re expensive!” So I closed the cockpit cover and went through my checks before taking off. “I just went for it as I had been waiting for this moment since arriving there. It was an incredible feeling from start to finish. After obtaining clearance to take-off, I just went through everything I’d learnt before landing again. It wasn’t as scary as I thought.